The news has just been confirmed by Amazon: the American giant has just purchased the architecture and platform of the GameSparks cloud. GameSparks offers services to developers of various video games, such as hosting servers. According to Venture Beat, Amazon acquired it in Dublin last July for a nice $10 million bill. It will soon be able to offer cloud services to game publishers and compete directly with Microsoft and its Azure cloud, which had itself bought PlayFab with the same ambition. 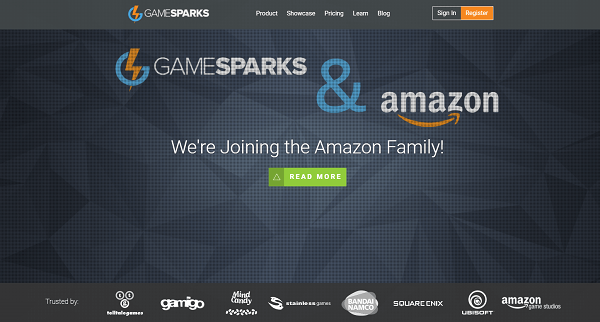 "GameSparks has long shared Amazon's passion to help developers create incredible gaming experiences, so it's a choice explains GameSpark in a post. "To do part of Amazon means that we will explore new ways to unlock the power of Amazon to help you build, operate and monetize your games." New offers are therefore soon to be expected for online game creators.